We believe Owners Corporations want to maintain peaceful, functional living environments for owners. Our mission is to provide a fresh perspective on resolving legal disputes and to inspire Owners Corporations to achieve outcomes that preserves the value of assets and restores harmony. We focus on value by providing easy to understand legal advice, striving for practical outcomes and enabling Owners Corporations to eliminate hostility and minimise future legal disputes. 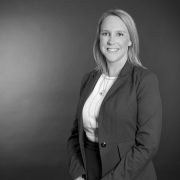 Assessing a particular situation being faced by an Owners Corporation and advising whether or not the statutory duties that bind Owners Corporations and lot owners may have been breached – and advice on options. Protecting commercial interests. Preparing contractual agreements between Owners Corporations and third parties such as contractors and service providers and recovering debts or loss or damage from third parties. Click here to read our Frequently Asked Questions on Owners Corporations.